The last time we spoke about property photography, we focused on choosing the right kind of camera equipment. This time around, we will be talking about composition, angles and good lighting to capture awesome and appealing property photographs. 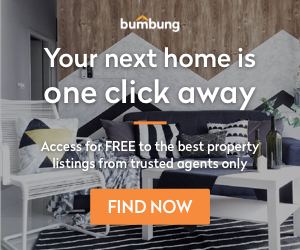 //blog.bumbung.co/2017/03/29/property-photography-camera-equipment/As we all know a picture is worth a thousand words, and in the property industry, a photograph can make or break your potential deal. Walk around the room and identify the best view points. Often these are aiming from one corner of the room into the other, or from a perspective which conveys space or the flow from one room in to another. Always shoot your photographs in the horizontal or landscape orientation whenever possible. The human eye sees the world in a roughly a 4:3 aspect ratio, though the standard ratio is moving to 16:9. Our brain finds the horizontal/landscape views more pleasing. The two qualities that home buyers are always looking for are space and natural light. That’s why it is very important to keep space and natural light in mind when composing your photographs. If you don’t have professional equipment or a very steady hand, pictures taken without a tripod in natural light will look dark and blurry. So it’s best to invest in at least a tripod, it allows you to shoot at slower shutter speeds to take advantage of natural light while still keeping images sharp. The angle at which you are showcasing the various rooms in a home is extremely essential. Before worrying about angles, the key rule in real-estate photography is that all your vertical lines should be vertical. This is achieved by aiming your camera perfectly horizontal — no slanting the camera one sided. Moving on to angles. 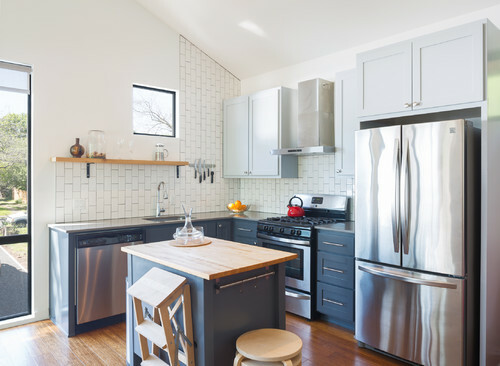 When shooting in a kitchen, it is best to shoot from chest height (often midway between the floor and ceiling). This is because most of the cupboards run from the floor up to the ceiling and this will showcase the top of the work surfaces. As for the living room and bathroom, where most objects like the furnitures are beneath hip height, it makes more sense to shoot from just below the hip. Last but not least, always photograph a room from more than one view point. This ensures that you can review your images later and make a more confident decision on which perspective works best. So are you ready enough to dive and improve your property photography skills? Give me genuine leads now!